For sisters Jane and Sarada Santos, being labeled as a strictly vegan restaurant could be a bit limiting especially for certain customers who don’t really know what vegan is. 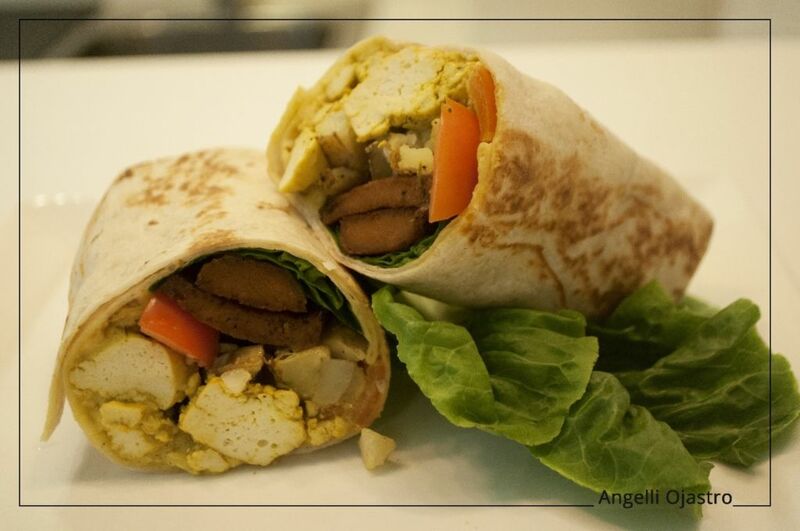 Green Bar aims to provide healthier food choices which are, at the same time, comforting and innovative. 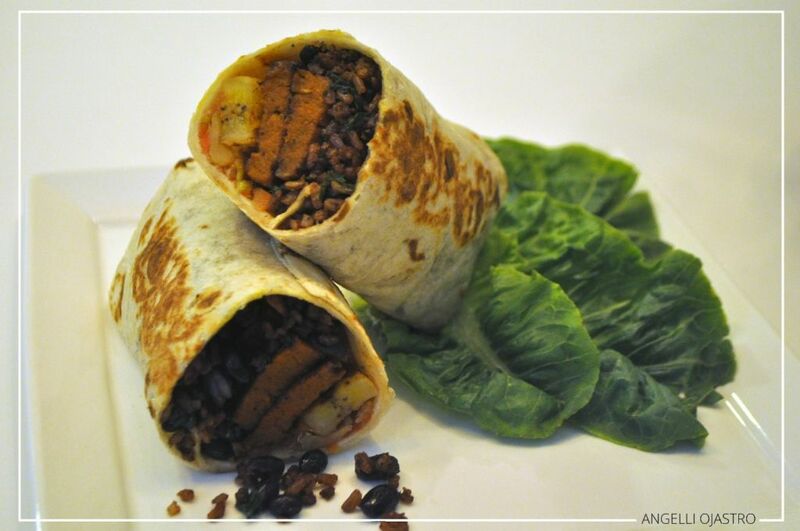 The healthy duo has just started delivering their hearty wraps and sandwiches throughout Makati on February of this year when they realized that the demand was strong enough to open a physical store and be more accessible to the growing health-conscious market of the business district. Few days after the soft opening of their first branch, I was invited for a quick chat over snacks with the two lovely minds behind the brand. The store is actually not that hard to find. 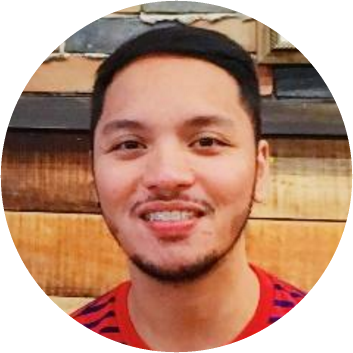 It’s located at the mezzanine level of one of the sky scrapers along Sen. Gil Puyat Avenue. You can already appreciate the dramatic and unintimidating lighting from its floor to ceiling glass doors outside. The interiors were designed by the Santos sisters which could be described as minimalist in neutral hues and industrial furniture. My favorite part is the bar – with custom made wooden high chairs. It all resembles a modern, urban flat converted into a restaurant fit for a young professional. Advocating for a healthier lifestyle has always been Jane and Sarada’s passion but it also hasn’t been a smooth ride for them especially with all the oily and meaty temptations around. Both girls grew up in vegetarian cooking courtesy of their mom, something that was not very common yet during their childhood years. They were brown bagging vegetarian sandwiches to school every day back in grade school and have been subjects of their peer’s mockery for it. Jane said that it was definitely not easy going against what everybody is eating or doing but they had to stick to their diet and later on was able to talk some friends into adapting the same. Green Bar is certainly not here to preach but to provide healthier alternatives and they will be more than willing to get into discussions and share whatever knowledge they have about eating healthy. The menu basically has 4 parts; deli sandwiches, wraps, build-a-bowl, and snacks. We actually started with their cupcakes that sell 100 pesos per piece. 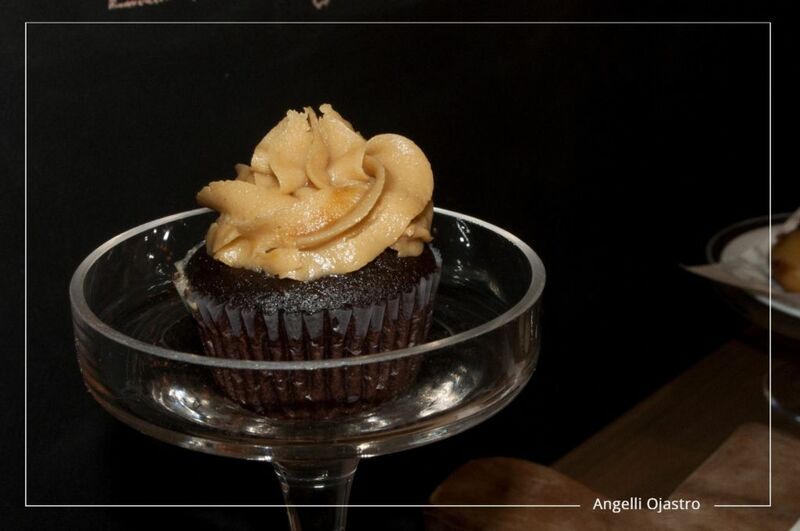 I tried the chocolate hill cupcake inspired by the Chocolate Hills in Bohol. To be honest, I was really surprised to know that no eggs nor dairy was used with that very appetizing pastry. I had it with their homemade Cold Brew which is coffee beans soaked overnight then mixed with water and almond milk. When Jane asked us to try one of their deli sandwich best sellers, I immediately grabbed a bite and after munching on it like a hungry kid, Jane told me that it’s called Hail Seitan and I was like, “Can you say that again? What did I just eat?” Seitan is a vegetarian’s meat. It is actually a high-protein vegetarian food made from cooked wheat gluten that has the same protein content as pork and beef and you can also cook whichever way you want. You can call this a guilt-free, meatless meat sandwich. It has crisp yet tender roast beef style seitan, caramelized onions, cashew cream, and vegan mayo in 6” focaccia. 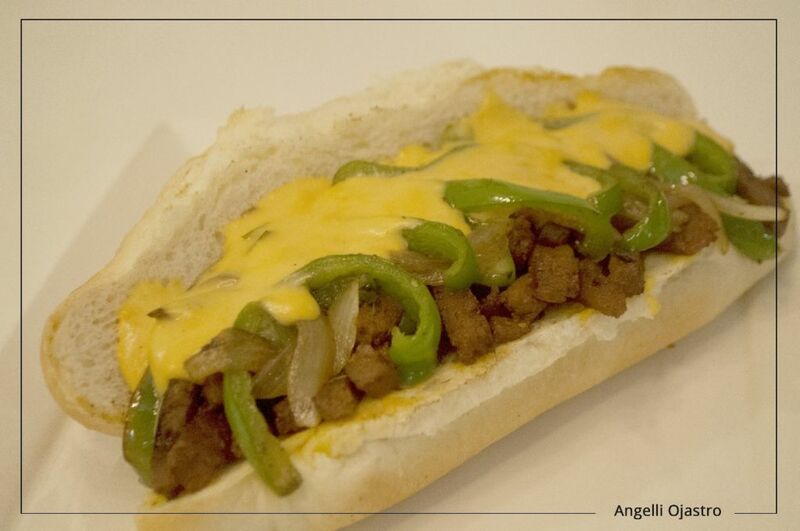 They also have a tamed version of the classic Philly Cheese Steak which is known to be an all meat piece. This belongs to their daily specials at the moment and being served every Friday. It’s slathered with Green Bar’s homemade cheese whiz with thinly sliced seitan steak, sautéed onions, and green bell peppers. Jane mentioned that she likes the challenge of creating vegan versions of traditional meat dishes. That’s also the time when the Breakfast Burrito was served. It’s composed of scrambled tofu that substitutes scrambled egg, roasted potatoes, slightly sweet seitan sausage, baby spinach and a creamy vegan hollandaise sauce. Just before I finish the first one, I could already see the next one coming and I suspected for it to be another healthy burrito. It is Green Bar’s Cuban Burrito; made with red rice, black beans, fried sweet plantains, spicy seitan sausage, pico de gallo and chimichurri sauce. Green Bar wants people to be a little more conscious on what they eat. They are more for the reduction of meat consumption and slowly push for a greener lifestyle. Sarada also added that time and time again, vegetarian meals have always surprised the public on how good it tastes and how much it resembles the meaty cooking that they have been accustomed with. She also said that they treat other vegan restos more as allies rather than competitors since they are promoting the same advocacy. The last piece I tasted was their Blackened Tempeh Caesar Salad. 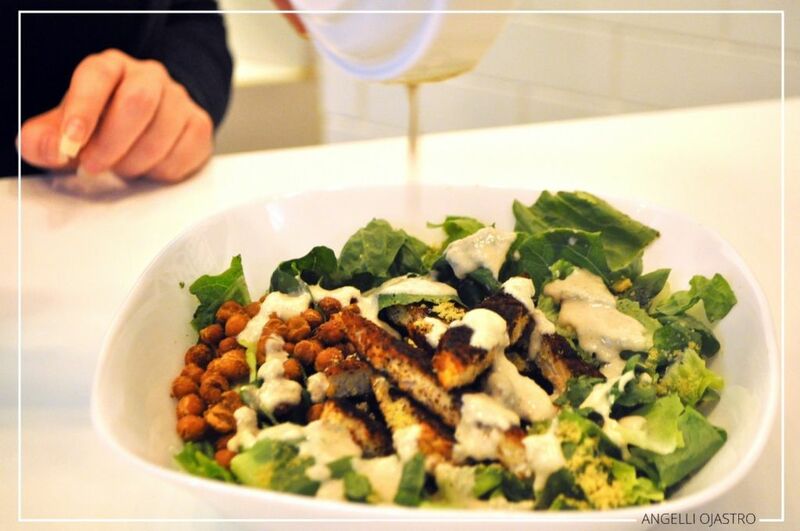 You will really be enticed to devour this salad because of its crisp romaine tossed with Green Bar’s homemade caesar dressing (made from cashews), topped with chickpea croutons, parma and blackened tempeh strips. I feel like Buddha for a moment there and that’s not just because I felt so huge and bloated after I ate everything but I was also enlightened on how veggies and vegan cooking can be so great. Green Bar is definitely off the charts delish and even though I am not vegan or vegetarian, I’ll definitely visit them again one of these days!